If your infant child has been dying for a pet, but you don’t have any idea of what you can get them, then you happen to be exactly where you need to be right now. Owning a pet can sometimes end up being a very rewarding experience for your kid. Choose the right pet and you can fill your child with years and years of joy. Furthermore, owning a pet can give your child the opportunity to learn plenty of life lessons and skills as they care for their pet companion. They can help teach your kids about dependability and responsibility, with adult guidance of course. Children below seven years will have to be guided through pet care and maintenance. At this age, they’ll still need relatively close supervision. So, how do you choose and what are the right pets for your kids? Let’s take a look, shall we? Before you can go ahead and pick the right pet for your kid there are a couple of things you need to first consider before committing to that decision. This is not a decision to be made lightly. Carefully think about the move you’re taking and ask yourself this. – Is your child old enough? Okay, this depends. However, the best age to introduce a pet into the home, especially if this is the first, is between ages four to seven. – Where do you reside? If you and your family stay in an apartment, then getting a puppy that requires room to both explore and exercise might just not be the best choice you and yours. – How much time will your pet spend alone daily? Some pets are great at being alone and entertaining themselves while others aren’t, especially if you’re leaving them for hours on end. – Does your kid have allergies? If your child has asthma or similar ailments of this nature, an animal that can indirectly cause an allergic reaction might not be what you want to buy for your kid. Getting an animal like this will just end up doing more harm than good. – Do you travel a lot? Do you and your family regularly have extended vacations or do you frequently go for weekend outings and such? You need to think about this because who will care for the pet when you folks are gone. Okay, yes warm, fuzzy animals happen to be much more appealing than their cold-blooded counterparts, however, certain reptiles can make for prized pets. For instance, tortoises the likes of the Russian plant-eating tortoise has a lifespan of around fifty years of age. Also, there are some snakes that can make for excellent pet companions as well, although you should try and avoid constrictors. Additionally, the reptile species are non-allergic which makes their overall care and maintenance not that hard, Before getting a reptile for your kid, do some research and understand the specific care requirements involved. Cuddly puppies are probably the most classic pets for children. As in who can resist a cute and fuzzy puppy? Well, not many can. However, choosing the perfect dog involves way more than just falling in love with big brown eyes. 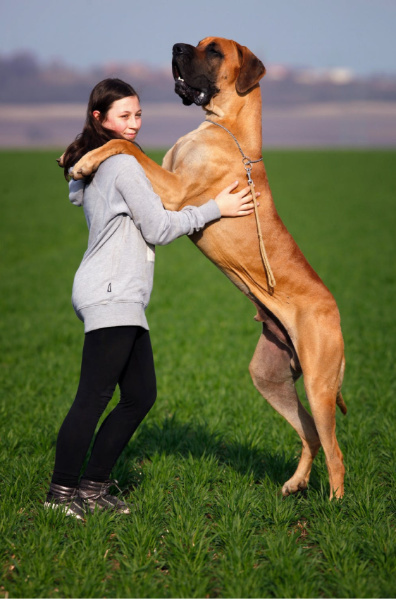 There happen to be certain dogs that aren’t suitable for kids, especially some particularly large dogs. So, before you go ahead and adopt a canine companion, make sure it’s not only well-socialized but also comfortable around kids as well. Most breeds will require a significant commitment of both efforts as well as time. Kittens also happen to be a childhood favorite. Not many in the world can resist fluffy feline antics. Cats are notoriously independent and they don’t usually need as much care and attention as dogs do. However, that doesn’t mean you don’t have to put in any commitment whatsoever. Just like a dog, a cat will need to go for regular immunizations as well as veterinary checkups. Also, it’s vital you pick a feline companion that is suitable to be around young kids. Not all of them make good friends for kids. Positive experiences can teach your kids once you allow them to care for pets. Not only can they provide your children with companionship but they can also offer them educational opportunities as well as entertainment. However, you should always keep in mind that owning a pet also happens to be serious business. It’s not always just going to be fun and games. They’re living creatures, just like you, that require regular attention and care, and this maintenance also has its financial commitments involved. With that said, you’re now ready to start looking for one. Previous Post: « How do You Know if You Have Irritable Bowel Syndrome?